To be considered for endorsement, candidates in selected races must complete a C-FAIR questionnaire and participate in an interview with a team of C-FAIR leaders, who interview each candidate seeking endorsement in that race. Interview teams make an endorsement recommendation to the C-FAIR Board of Directors, which makes final endorsement decisions. 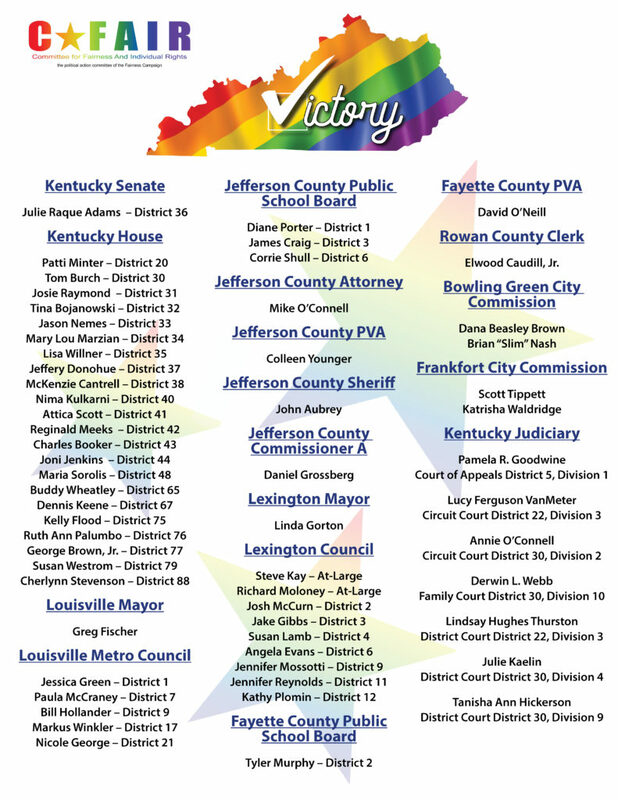 Congratulations to C-FAIR-endorsed 2018 Kentucky General Election victors!